A design pattern composed of two to eight Riv-Nails allows for the fasteners to be clinched for maximum pull-out resistance — as the pilot nails do not cut the fabric, but divide it, and allow the rivets to slide between fill and warp yarns. The Riv-Nail is a compression fastener and, as such, does not rely entirely on the belt fabric for resistance to fastener pull-out. Rivet Hinge Fasteners are used for major applications that require high strength and small pulleys. These include construction equipment, agriculture, wood products, and mining. Underground mining makes extensive use of these products for conveyors and structures that are extended or withdrawn in the course of mining. All fastener strips are sold one set per carton. 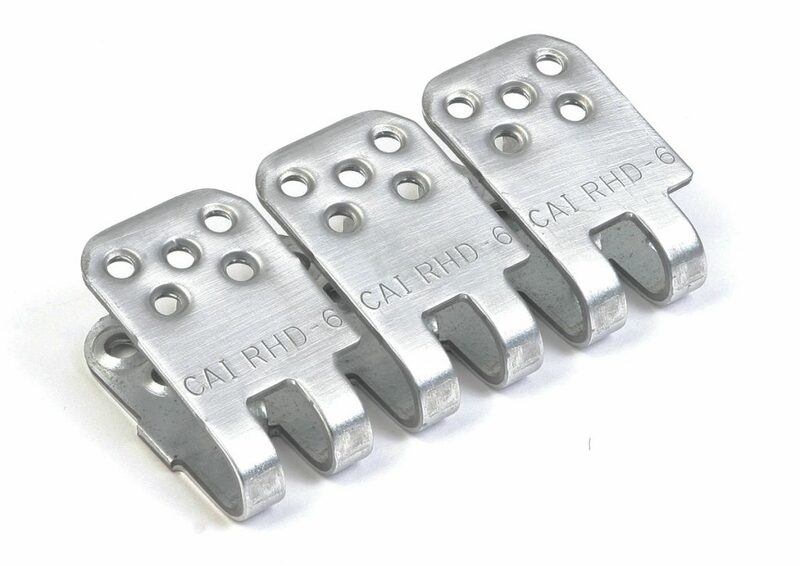 Rivet Hinge fasteners are available in R-2, through R-8 sizes, which fit belts 1/8″ – 3/4″ thick. The fastener strip is cross-scored so it can be easily broken by hand to fit any belt width. First, determine the size and material specifications. 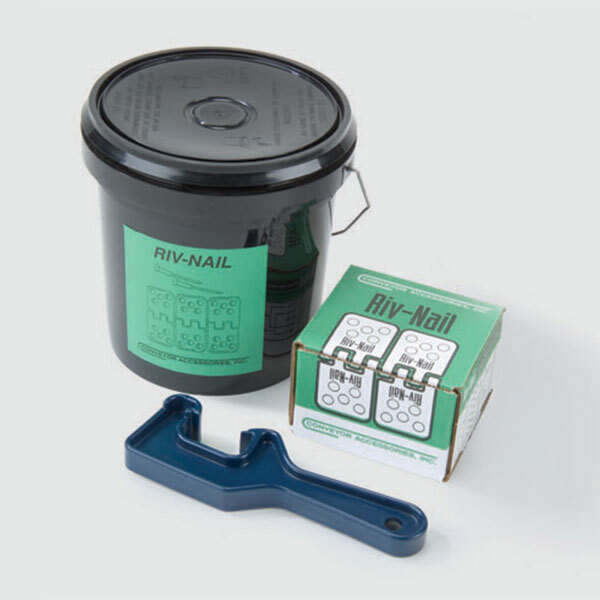 Then, click on the Product Line tab above to view the complete Riv-Nail product line. Steel Conveyor Accessories uses special grades of high-strength steel that have been annealed for extra durability. These grades may yield 25 to 35% greater tensile strengths and have improved properties for long life and wear, compared to some steel fasteners. 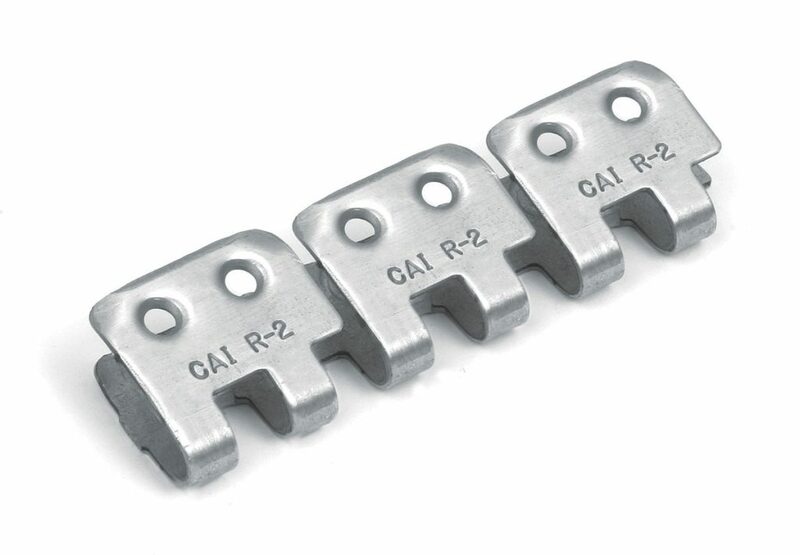 The R-2 and R-3 are made of galvanized coated steel, while TR-4, R-5, R-51⁄2, and R-6 are fully plated with a zinc “silver” luster to protect all surfaces of the metal. 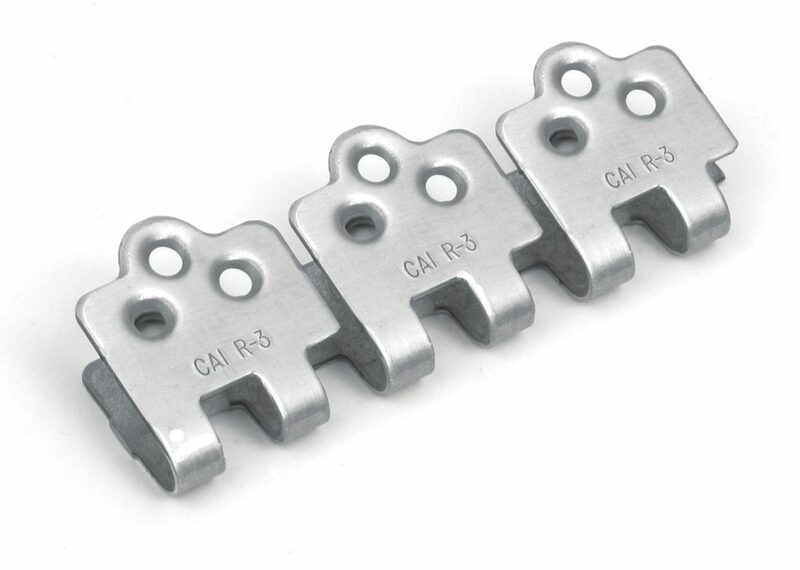 RLC is available for RLC-5, RLC-5 1/2, and RLC-6 fasteners. 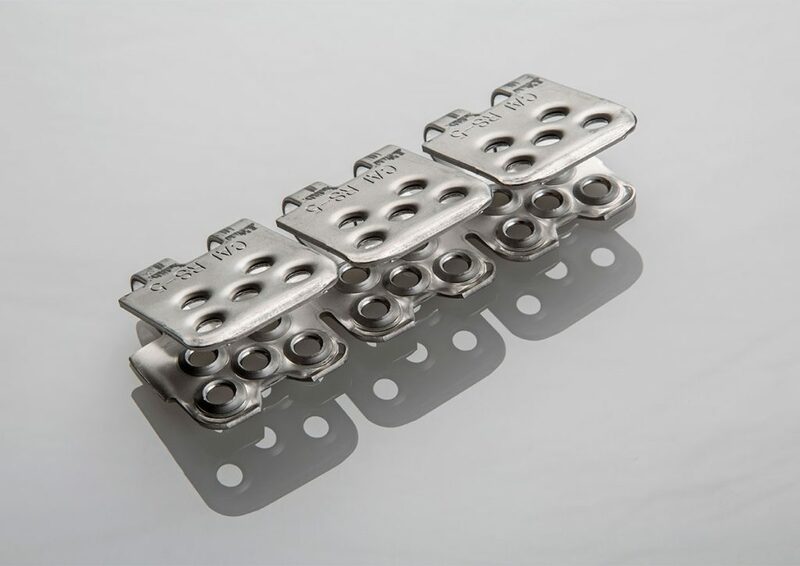 This low-chrome material offers enhanced benefits over regular steel for wear and corrosion. RC/TRC is high-chrome stainless plus nickel for high-wear areas and acidic conditions. The RC or TRC series can also be used on magnet belts. 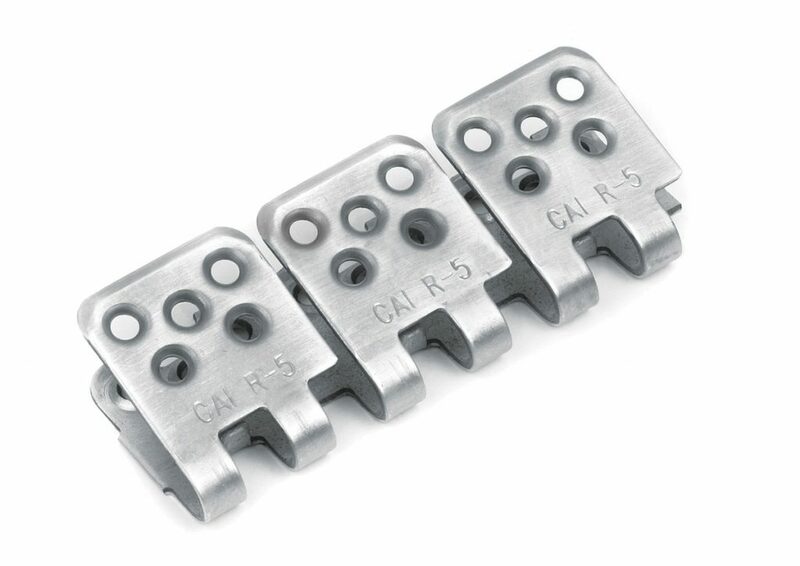 RS is the most non-magnetic grade, available for RS-2, RS-3, TRS-4, and RS-5. All stainless rivets are made of 430 SS, which may exhibit some magnetic properties because of the mill rolls or dies that were used to produce the material, but this is typically not a problem for magnetic belt applications. R-2 Rivet Fasteners make installation a breeze! You get an advantage over the 375 nut-and-bolt design, where holes must be aligned and punched before installation begins. 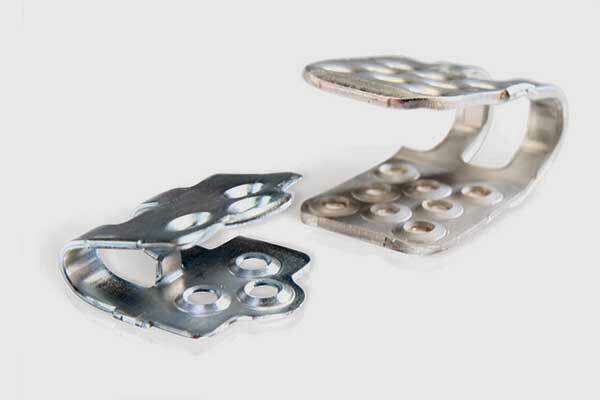 Plus, the use of fewer rivets translates into additional material and labor savings. R-2 rivet fasteners are available in both galvanized and stainless steel. R-3 Rivet Fasteners provide fast installation! Consider the advantages over 375 and 550 nut-and-bolt design, in which holes must be aligned and punched before installation begins. 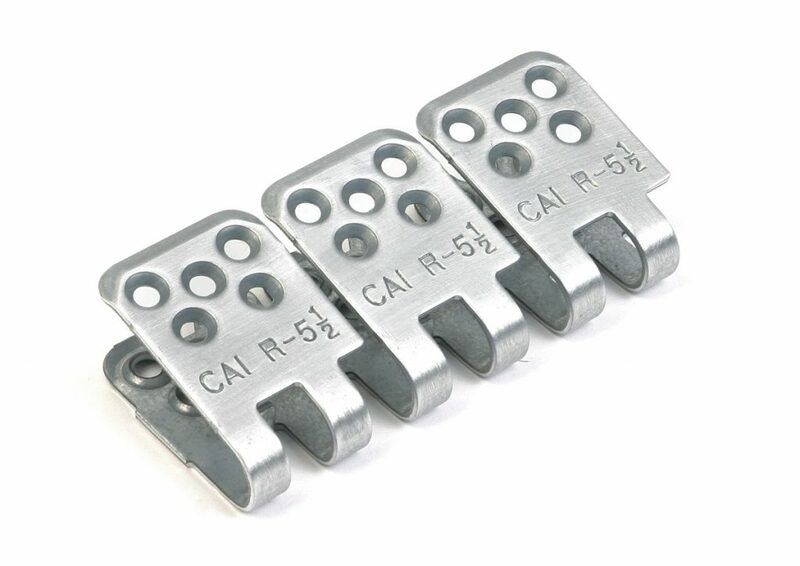 With the R-3, there are 40% fewer Riv-Nails than with the larger R-5 version. All this means material and labor savings. 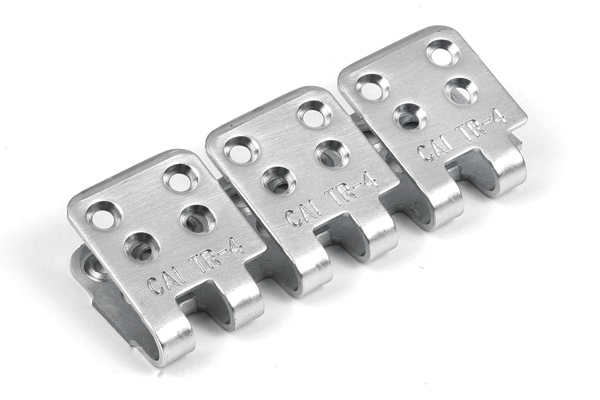 The TR-4 is a “true” four-rivet fastener used on belts up to 7/16″ thick and 400 PIW. An advantage of the TR-4 is that the majority of applications involving two-ply and three-ply belts up to 400 PIW full-rated working tension can be achieved. 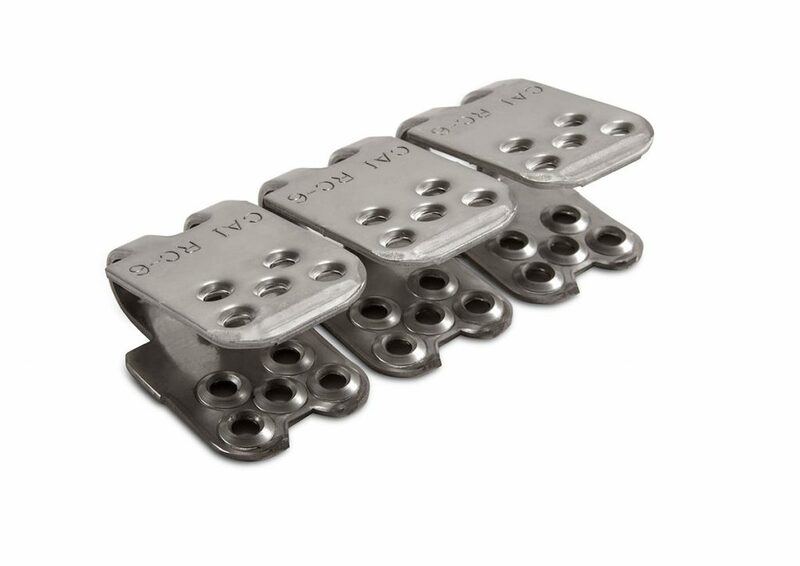 The TR-4 also uses 20% fewer rivets, for a huge savings in both materials and labor. R-5 Rivet Fasteners are used on belts up to 7/16″ thick and 450 PIW. R-5½ Rivet Fasteners are used on belts from 3/8″ to 19/32″ thick and 800 PIW. R-6 Rivet Fasteners are used on belts from 13/32″ to 3/4″ thick and up to 1,000 PIW. 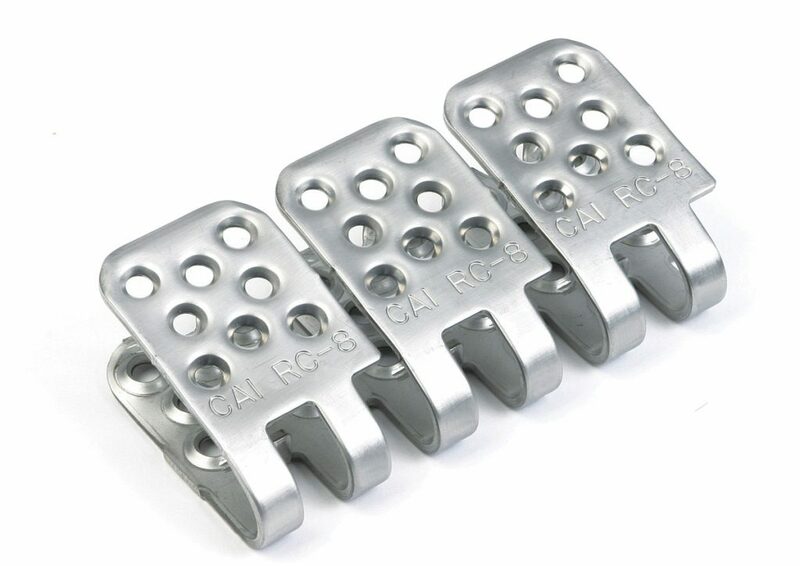 RC-8 Rivet Fasteners are used on belts from 13/32″ to 3/4″ inch and up to 1,500 PIW. Riv-Nails are available in boxes of 250 and buckets of 2,000. Case quantity on boxes is ten (10) per case. Quick Load buckets contain 1,000 rivets per bucket.